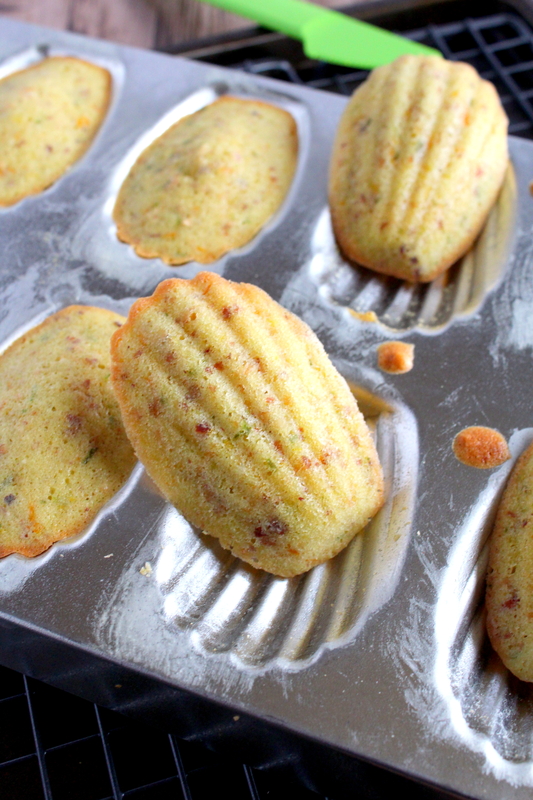 These citrus madeleines are a two bite cake-like cookie. Sun kissed with a light golden brown color and bursting with the sweet citrusy flavors of lemon, lime and orange rinds, with an added crunch from the ground almonds. A classic French style snacking cake, with a distinctive shell shape and a humpback. I don’t have any childhood memories of these little madeleines, I was however always intrigued by their unique appearance. Soft, spongy and scalloped shaped. Definitely a must have cookie for all lemon lovers. The store bought variety was my very first encounter with the little madeleines. More cake then cookie and of a somewhat drier variety just begging to be dunked in a cold glass of milk. 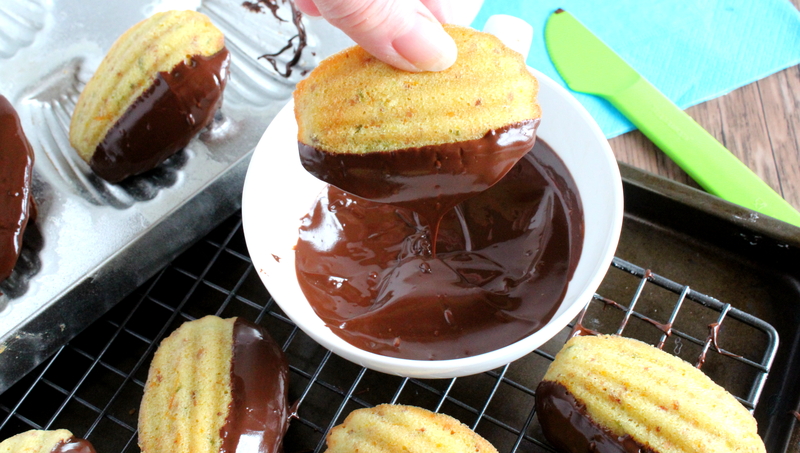 These citrus madeleines are softer and more tender then store bought. I believe that is why my mom loved them so… for both the spongy tenderness of a cake and the lemon kick. They are perfect for those days when one does not have time to bake a whole cake but yet still crave a cake-like dessert. All you need to whip up a batch of these citrus madeleines are a few staple ingredients such as flour, sugar, eggs, butter and of coarse a madeleine pan. Two pans to be exact, as most recipes yield two dozens. Nowadays, the madeleine pans can be found in most kitchen supply stores. Better yet, no electric mixer is required. Just two bowls and two whisks. I find the best way to grease a madeleine pan is to use a pastry brush when brushing the moulds with the melted butter. This way every crevice is coated with the melted butter, and then lightly dust it with flour, shaking off any excess. Also equally important, is not to spread the batter when spooned into the mould, as this will help achieve their signature hump. I do have to admit that the lemon glaze won us over! And if by chance you cannot decide, simply choose all three! Little buttery, two bite cakes eaten as a cookie. They are light, dense and flavored with lemon, lime and orange. Place the eggs, melted butter, grated lemon, lime, orange rinds and vanilla extract in a large bowl and whisk till combined. Using a separate bowl, whisk together the flour, sugar, ground almonds and salt. Add the flour mixture to the wet ingredients and whisk until combined. Place 1 tablespoon of batter into each mould. Bake in the center of your preheated oven for about 12 to 15 minutes or until edges are golden brown and the puffed centers spring back when gently touched. Carefully loosen the moulds with the tip of a knife. Invert onto a cooling rack. Whisk the sugar and the lemon juice together in a small bowl. 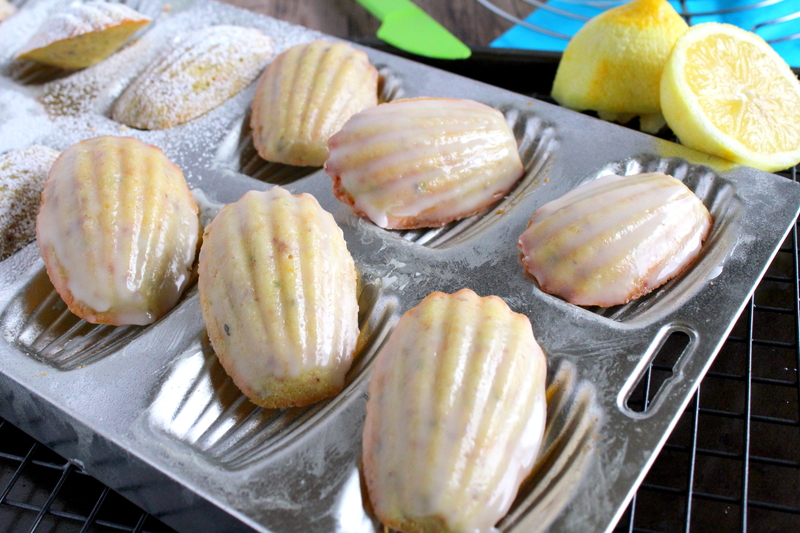 Brush the lemon glaze over each cooled Madeleine. 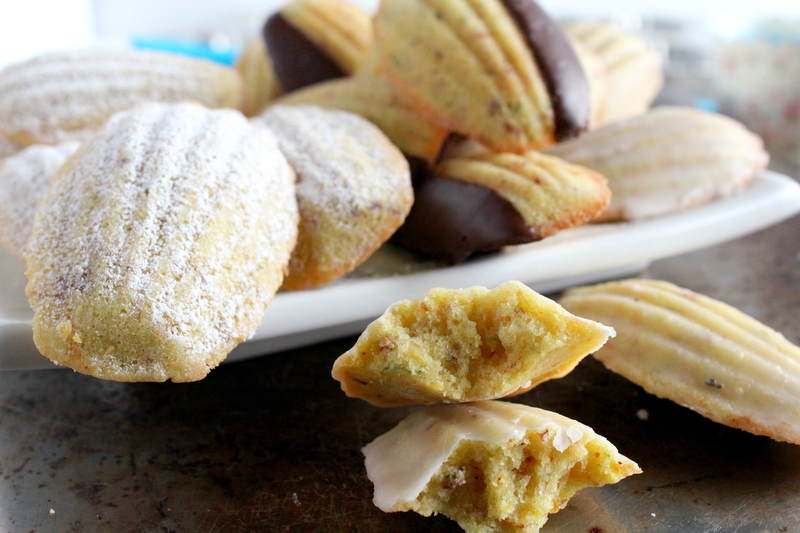 These madeleines can be made 24 hours ahead of time and stored in an airtight container or freeze for up to one week.